Looking for a fun energetic pup? Miko is the guy for you! 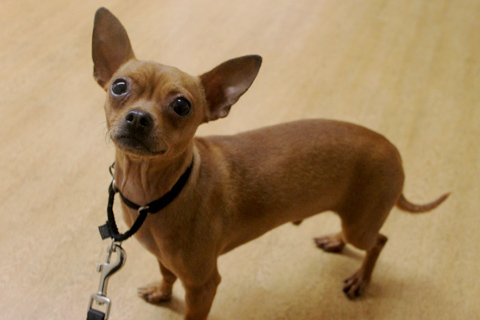 This adorable 9 month old chihuahua mix loves going on walks, hanging out with his roommates, and cuddling up with the volunteers. Miko also enjoys spending time sunbathing on our roof top deck. Miko is looking for a forever home where he can be the center of attention. He loves everyone he meets and he will capture everyone's heart.